Minorities are starting a growing number of small businesses in the United States. There are more than 11 million minority-owned businesses in operation nationwide, almost double the number from a decade ago. These businesses employ over 6.3 million people and generate over $1.8 trillion in annual revenue. Unfortunately, not all of this success is reflected in businesses owned by Native Americans. Native Americans make up only about 1.6% percent of the U.S. population, and they collectively own about 300,000 businesses. Although the number of Native-owned businesses has been increasing over time, their revenues and share of employees has remained relatively low. 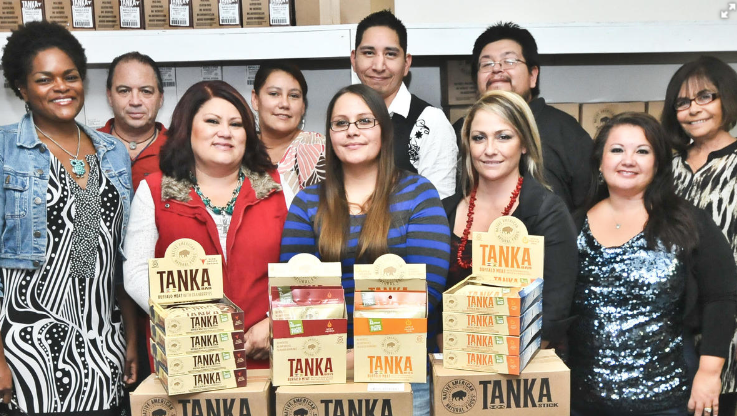 With access to the right financing opportunities, Native American entrepreneurs stand a better chance of scaling their business, increasing profits, and creating jobs. There are some debt-free options for Native American entrepreneurs, such as government grants, but these are highly competitive. Business loans are a more realistic option for most, and can help whether you’re planning to start a business on a reservation or on non-tribal land. When used for the right reasons, debt can be important—even essential—to your business’s growth. But, the less debt that you have, the more resources you can focus on growing your business instead of paying back a business loan. Before you jump into getting a business loan, explore grants as an initial funding option. The key difference between grants and loans is that you don’t have to pay back a grant, whereas a loan must be paid back with interest. Several federal government agencies, nonprofits, and private foundations offer grants for Native American entrepreneurs. Rural Enterprise Grant Program – The U.S. Department of Agriculture extends grants to tribal businesses in dozens of states as part of the Rural Enterprise Grant Program, which aims to promote emerging and small businesses in rural communities. First Nations Development Institute – The First Nations Development Institute strengthens Native American economies and communities through grants, investment, and other resources. U.S. Department of Commerce – The Department of Commerce runs several grant programs to strengthen economically distressed communities and underserved communities, including Indian reservations. Administration for Native Americans – The Administration for Native Americans, part of the U.S. Department of Health and Human Services, provides grants for businesses in specific sectors, such as Native American cultural preservation. U.S. Department of the Interior – The Department of the Interior gives out annual grants to help tribal businesses conduct market research and assess the viability of their product or service. The Department also provides other resources, such as bringing together tribal businesses with prospective commercial or government buyers. Grants are not the only debt-free options for raising money. For instance, anyone over the age of 18 can raise money for a business on a crowdfunding site, such as Kickstarter or Indiegogo. The most successful crowdfunding campaigns are those that tell a compelling story, so use this as an opportunity to tell the public about your cultural roots, your business inspirations, and your business goals. 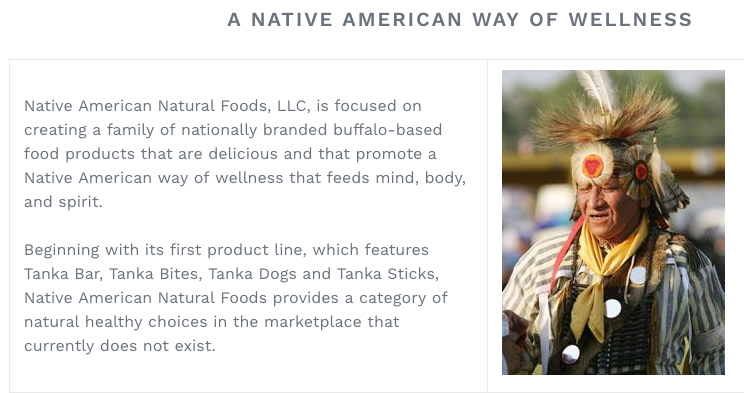 For example, the company Native American Natural Foods, raised over $120,000 on WeFunder.com for their fruit and meat bars based on Native American traditions. If you’re not able to qualify for a business grant, the next option is try for Native American business loans. You have to pay a loan back with interest, so it’s important to understand what the loan can be used for, the interest rate, and the repayment schedule. CDFIs emerged around 30 years ago to provide “unbankable” communities with an alternative to mainstream banks. They work with borrowers who have lower credit scores or that are considered too “high risk” by mainstream lenders. On average, Native Americans living on a reservation have a credit score that’s 30 points lower than people living off the reservation. 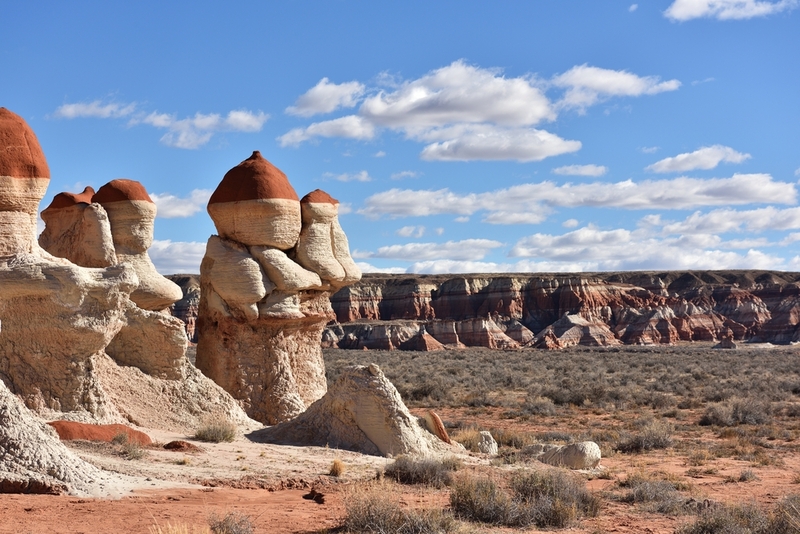 Due to poor credit, a lack of sufficient financial resources, and more isolation from thriving business communities, Native American entrepreneurs often find it challenging to get loans through traditional banking institutions. CDFIs can stem the gap and help you get funding. CDFIs tend to extend short and medium-term loans (terms under five years) at an interest rate between 6% to 36%. The rates on the lower end of this scale are equivalent to what a traditional bank would charge. The U.S. Department of the Interior (DOI) runs an Indian Loan Guarantee Program for Native American-owned businesses. These low-interest rate, long-term loans are available to federally recognized American Indian and Alaska Native tribes and individuals enrolled in such tribes. The business must have no less than 51% ownership by Native Americans. Bring a 20% down payment to the table. Your product or service must benefit the economy of the reservation or tribal area. Borrowers can use the loan proceeds for a variety of purposes, including construction, upgrade, working capital, equipment purchases, business acquisition, and refinancing. Solopreneurs can only access up to $500,000, with the government guaranteeing up to 90% of the loan. Higher loan amounts are available for business entities, such as corporations, with multiple owners. Large banks such as Wells Fargo participate in the Indian Loan Guarantee Program, but so do smaller community banks. Bank branches located near Indian reservations obviously will be more familiar with the program, so you can start by reaching out to one of those. Native American Natural Foods, the business mentioned above, combined crowdfunding with a loan guaranteed by the DOI to expand. The U.S. Department of Agriculture guarantees business loans through the Business & Industry Loan Guarantee Program. USDA business loans are open to businesses in any rural community, and many Native American businesses satisfy the eligibility requirements. Both tribes and individual business owners are eligible for funding. Your business should be located in a rural area with fewer than 50,000 inhabitants. You must have some collateral to protect the lender’s interest in the loan. Collateral is often a tough requirement to satisfy, but if you’re planning to use the loan to purchase real estate, a building, or equipment, those assets can be used to secure the loan. The USDA guarantees loans up to $25 million, and terms extend up to 30 years depending on what you’re planning to use the loan for. Rates are negotiated between the lender and borrower, but they are usually below-market to help rural businesses get off the ground. To get started, you can contact your local USDA office, which accepts applications year-round. The U.S. Department of Energy (DOE) is yet another federal agency that guarantees loans for entrepreneurs. The DOE has a Tribal Energy Loan Guarantee Program that focuses on tribal energy development projects. If your business has an energy-related purpose, you’re eligible to apply. For example, eligible projects would include fossil energy production and mining, renewable energy, transmission infrastructure, and energy storage projects. The DOE is specially focused on businesses that bring sustainable energy to tribal land. To get started, you can contact the U.S. Department of Energy, which will put you in contact with a participating lender. The U.S. Small Business Administration (SBA) probably runs the most well-known government loan guarantee program. Like the other federal agencies, the SBA also guarantees small business loans made by banks and other direct lenders. Although SBA loans are open to all entrepreneurs, one of the agency’s missions is to help minorities and underserved communities. Historically, nearly one-third of SBA loans have gone to minority business owners. The main selling points of an SBA loan are low interest rates and long repayment terms. Since the government is guaranteeing the loans, interest rates are typically below-market, and repayment terms are 10 to 20 years. There are many different SBA loan programs. The most popular type, the SBA 7(a) loan, offers up to $5 million for a range of business purposes, including working capital, equipment, acquisition, construction, refinancing, and more. One thing that the Indian Loan Guarantee Program and SBA loans share in common is that these loans usually involve large loan amounts. If you need just a small amount of seed capital or just enough money to get over a business slump, then a microloan—business loans under $50,000—might be a better option. The SBA has a microloan program, as do several private business loans lenders. Microloan lenders tend to be community organizations whose mission is to help the local business community and economy thrive. As a result, the eligibility requirements tend not to be as difficult. You need to have decent credit (600 and above), and need to show your ability to afford the monthly loan payments. However, there’s no down payment requirement, and even new businesses can qualify. 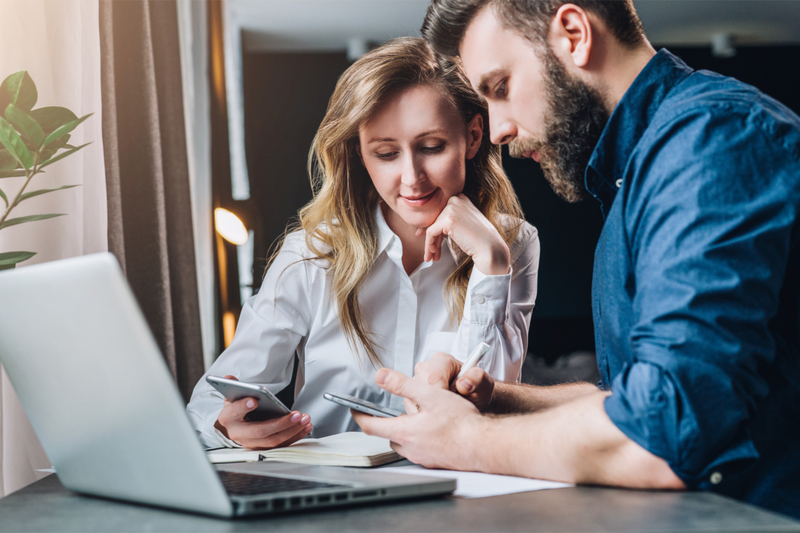 Microloan rates aren’t as affordable as SBA loan rates or DOI loan rates, but they are reasonable, usually ranging between 10% to 16% depending on your creditworthiness. Microloans can be used on a variety of business needs, including business expansion, purchasing inventory and supplies, hiring, and marketing. Accion is a popular microloan provider, with lending centers throughout the country. This lender helped Rosemary Lonewolf borrow $20,000 to buy space and equipment to expand her pottery and jewelry business, True West of Santa Fe. Lonewolf lives on a reservation, and no bank would lend to her unless she put up her pottery as collateral. Accion helped her get a collateral-free loan, and once she paid off the first microloan, she was able to get another one. What if you want to borrow money for your business, but your credit isn’t in the best shape? Short-term loans can help you capitalize your business without the need for a perfect credit history. Businesses that have been operating for several months and generating at least $4,000 in revenue each month should be able to qualify, even if the owner has a relatively low credit score. The ease of applying makes short-term loans an excellent Native American business loan option, especially if you’ve been rejected by banks in the past. Application processes are very fast for short-term loans, without the need to submit a bunch of paperwork. Short-term lenders provide loans with that are designed to be paid back within three to 18 months with daily or weekly repayment. These loans are perfect for buying inventory or supplies, making payroll, paying for marketing, and other short-term needs. Expense is the main catch. In exchange for the convenience, you end up paying a much higher interest rate than you would on a longer-term loan. But, your total outlay in interest is limited by the length of the term. Similar to short-term loans, business credit cards are another fast and convenient option for Native American business owners. Many entrepreneurs don’t think of credit cards as a financing option, but they should definitely be on your list. Even if you don’t have your business completely setup and running yet, you can apply for a business credit card. Freelancers, consultants, and home-based business owners are also eligible. All you have to show is some proof of business, such as a copy of a business license or a copy of a recent business tax return. When compared to consumer credit cards, business credit usually have higher limits and better rewards points. It’s not uncommon to have business credit limits of $50,000 or more, especially if you have top notch credit. Rewards are available in business specific categories, such as travel, advertising spend, and spend on shipping and utilities. The Chase Ink Business Unlimited credit card is a universally appealing business credit card. With a $0 annual fee, unlimited 1.5% cash back, and a $500 welcome offer, there’s benefit to any cardholder. And the 0% APR for 12 months basically allows to borrow money interest-free for up to one year. After these 12 months, your APR will set in at a rate that varies with market rates, so be sure to see Chase’s terms and conditions for the latest APR information. No matter which of these Native American business loans you apply to, you should focus on strengthening your business loan application as much as possible. The stronger your business profile and the more complete your application is, the more reason the lender has to approve your application. Create a business plan – A business plan is required for SBA loans, DOI loans, and bank loans. Even if a lender doesn’t require a business loan, however, you should consider it an essential. A business plan helps you focus on the right things as you grow your company and forces you to be realistic about revenue, profit, and expense projections. With a business loan, you’ll also have a better idea of exactly how much you need to borrow. Improve your credit score – The better your credit, the easier it will be to secure a small business loan. There are loan options at every credit grade fortunately, but as your credit improves, your interest rates will go down. Increase business revenue – Lenders are very glad to work with a business that has had an upward trajectory in revenue. Even if you’re a new business, you should focus your resources on developing your product or service and on getting paying customers. And remember, time will often help your business succeed as well. The longer your business has been operating successfully and the more positive your financials are, the more likely you are to qualify for a business loan. Whether you’re an aspiring Native American entrepreneur or already have your own business, there are multiple ways to get the financing you need. To start, consider debt-free options such as crowdfunding and government grants. The next step is contact your local Community Development Financial Institution, and check if they have financial resources for your business venture or can connect you with a tribal lender. And if that doesn’t pan out, there are still plenty of business loan options, from government-guarantee business loans to business credit cards. Running a business isn’t easy, and Native Americans face unique challenges, but if you search widely enough, something will click. Before you know it, you’ll have a successful business on your hands.